COMEDY VIDEO: Mr. Josh Comedy – See Yawa!!! (So Funny) 3GP MP4 Download. Another mouth-watering and funny clip from Mr. Josh Comedy. See Yawa shows what women has turned men to..
It’s a must watch, *Kindly Watch And Download “See Yawa!! !” By “Mr. 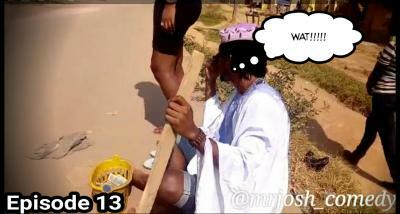 Tags:Mr. Josh Comedy, See Yawa!!! Photo: This gentleman is a big fan of matching outfits.